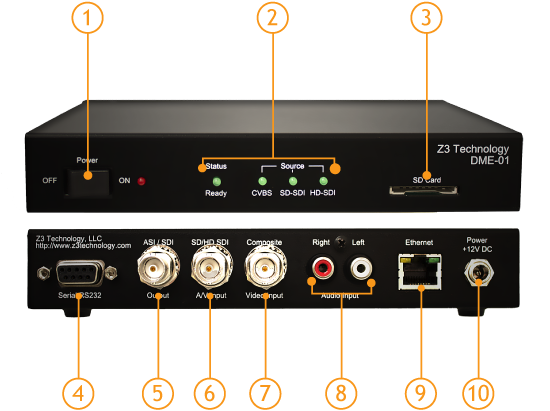 The DME-01 Digital Media Encoder is a cost-optimized encoder and decoder that supports H.264 High Profile encode resolutions up to 1080p at 30 frames per second. This network-enabled solution provides immediate access to multi-format HD video, integrated system peripherals and production-qualified codecs. 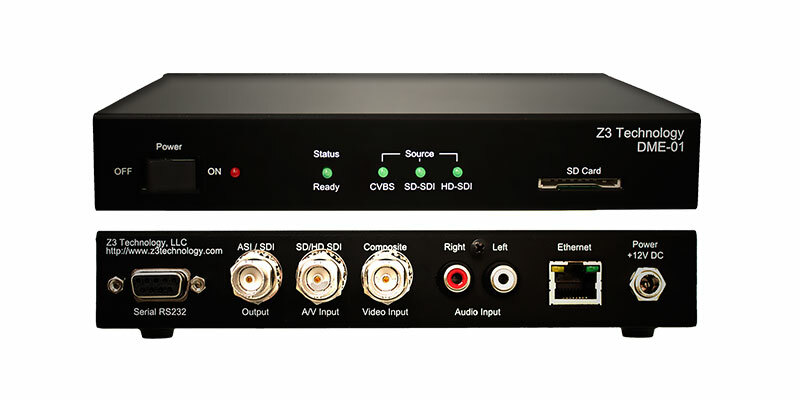 It features HD performance, compact size, and low latency while still having less power consumption than a PC-based encoder platform. The DME-01 is one of Z³ Technology’s best selling ZEUS™ products and has been featured in multiple applications such as: low-cost broadcast encoders, low-bandwidth video security, satellite uplink, remote monitoring and industrial applications.